Last week, I looked at a series of headsets. In the comments, a few of you asked for me to review the Logitech G930. However, that’s an older headset, and we try to keep up with the times. So, instead, I’m reviewing the G430. How does it stack up compared to similar headsets in its price range? 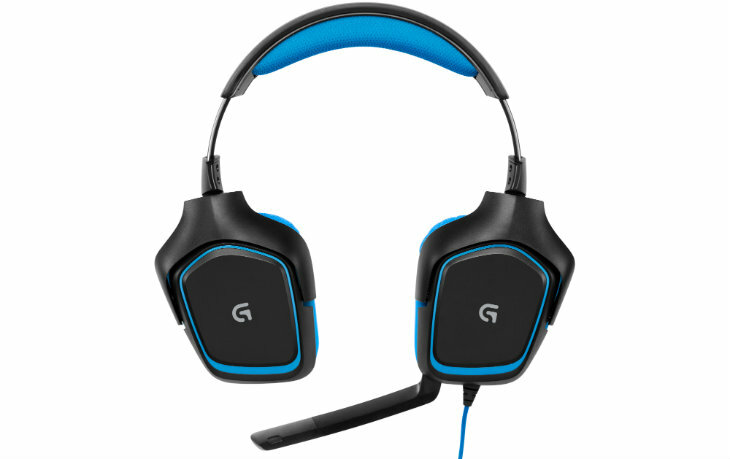 When I first looked at the G430, I thought it was an ugly headset. I’m not a fan of blue on headsets – I’m a firm believer that the only colors allowed for headsets are black, red and white. 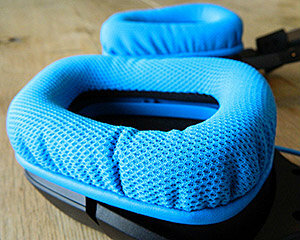 That said, the actual design of the headset isn’t bad looking if you can get past the colour. Despite the color, the ear cups are rather clever. Made out of performance-sport cloth, they don’t get as hot on the ears, minimizing sweat and discomfort. Additionally, the cloth can be removed and washed, making me question all those other headsets I’ve used – how dirty was that black material? The foam inside is rather firm, and with the snug fit against the head, it can get a bit uncomfortable for some people after a while. The cups can rotate up to 90 degrees, making them lie flat on your desk or rest comfortably around your neck when not in use. However, this also means that there are a lot of moving parts. Perhaps it is just the shape of my skull, but I found the right ear cup to occasionally make that plastic groaning noise when I moved my head. With a long enough braided cable to provide plenty of space to move around your work/play space, the G430 also has inline controls for on the fly volume adjustment or mic toggling. The mic can be moved vertically or horizontally – this means that you can shove it all the way up so it’s out of the way, or bend it in nice and close to your mouth. While it is fully adjustable, I did find that the mic tended to stick out quite a ways – I was still audible in chat, but I couldn’t get it quite as close to my mouth as I sometimes prefer. Of course, the main thing we worry about a headset is the sound it can produce. The sound quality on the Logitech is excellent, producing clear and crisp sounds even when blasted at ear drum hurting volumes. With the seemingly standard frequency response of 20 Hz-20 KHz, the G430 produces the full range of sounds you would expect. When testing the dynamic range, it easily reached 42 DBFS (decibels below full scale). 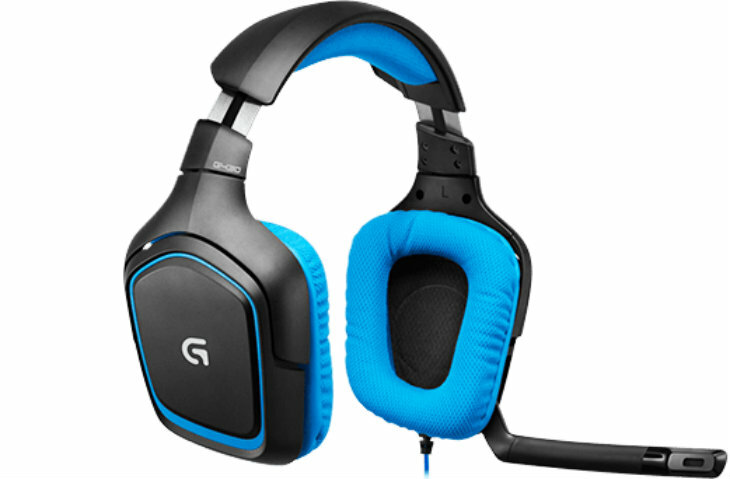 The Logitech G430 features 7.1 surround sound thanks to its Dolby software. Again, it’s important to point out to the ultimate audiophiles that no, this is not the same as actual surround sound. However, for gaming and other purposes, it is certainly functional. As part of the software, gamers can adjust volume levels and even individual channels on the Dolby surround. However, this software is only available for PC so Mac users won’t get full use of the headset’s capabilities. I enjoyed using the Logitech G430. It delivered fantastic sound into my ears. However, it isn’t the most comfortable headset, and the occasional plastic creaking when I moved my head made me doubt the shape of my skull. If you’re looking for an affordable gaming headset that delivers fantastic sound quality, this is certainly an excellent option.